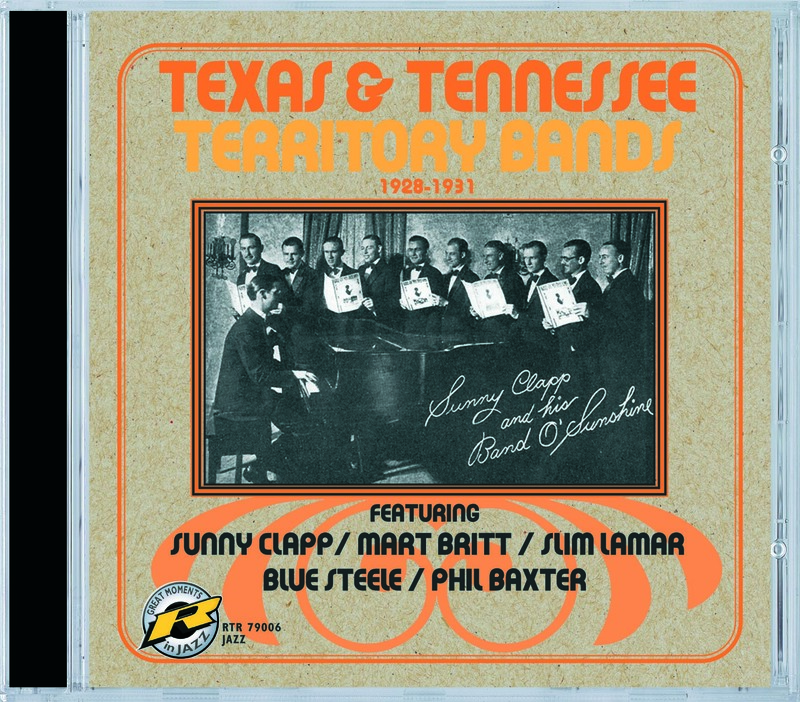 Until fairly recent times little was known about what we now call "Territory" bands, bands which played and recorded outside the main jazz centers of New York, Chicago, New Orleans and to a lesser extent, the West Coast and Kansas City. It is now very apparant that much first rate music was being produced in the hinterlands, but much remains relatively obscure because of the rarity of the original recordings, many of which were produced and sold only around their home areas to satisfy local demands. "The only fairly common item on this CD is Blue Steele's fine 'Sugar Babe i'm leaving', which had wide distribution because on it's original issue it was backed by the very popular waltz 'Girl of My Dreams', which became an international hit! But many fans will still have never heard any other Blue Steele titles or anything at all by the likes of Mart Britt, Sunny Clapp, Slim Lamar or Phil Baxter, a situation that this CD is intended to remedy. This is jazz as hot as anything that New York or Chicago was producing in the 1927-1931 period covered here. There are fine soloists on display such as the under-appreciated clarinettist Sidney Arodin and trumpeter Tony Almerico. If you want to be happily astonished by Mark Britt's blazing "Goose Creek Stamp" or Blue Steele's driving 'Shooin' Flies'. Baxter still, emulate Little Jack Horner - just "put in your thumb and pull out a plum". Transfers by John R.T. Davies. 'Nuff said!